One of the highlights of our annual White & Wild Japan photo tour is photographing eagles on floating pack ice off the coast of Hokkaido. White-tailed eagles are impressive birds to photograph, but the endangered Steller's sea eagle is my favorite. 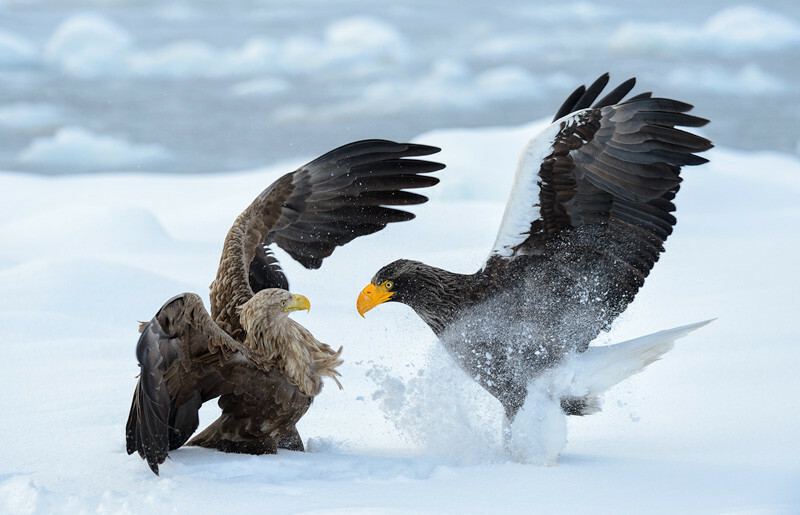 The Steller's sea eagle is the heaviest eagle in the world, and in this image you can see the size difference. The white-tailed eagle doesn't seem to be very happy with the visitor.